God always meets our needs. Usually God gives me what I need through other people. Come to think of it, what I need is other people. After all, love requires a lover and beloved, a subject and an object. This is yet another sign as to how true spirituality is other-centered and why it must be so. After all, I was taught by a wise teacher years ago that "One person is no person." I thank God for so many wise and loving people who extend their friendship to me in so many ways. I was in touch with one such friend today. He is a hospital chaplain and has been through some harrowing experiences this past week. After reading about these experiences I wrote to express my solidarity with him and to let him know that he is very much in my prayers and, more importantly, the people he is currently ministering to are in my prayers. In his reply I received this nugget of wisdom: "I can deal with death at pretty much any level, I am not God so it does wear me down." This is wisdom borne of humility and sanity. Too often I try to be god, not the God who is God, but the third rate deity of my own making. In trying to be god, I undertake an ethic of control whereby I arrogantly work and try to pre-determine outcomes. This all goes back to "the lecture" (I am referring to it so much that it richly deserves to be in scare quotes). Particularly, Dr. Crysdale's third quality that distinguishes an ethic risk from an ethic of control: "Recognizing limitations [as a creature] and risks of moral action rather than than pre-determining outcomes of moral action." I wrote Sunday that it sometimes pisses me off that I need God, or even other people. Why? Because I want to be my own god! In this I re-commit the sin that is at the root of all sin, which is the first, or, original sin. To think and feel this way is irrational, even ridiculous. It is irrational because it denies reality at a very fundamental level and ridiculous because it isn't true to my everyday experience. Realizing over-and-over that I am not sufficient to myself is so necessary, so simple, so common sensical and yet so difficult. A line from Rich Mullins' song, Hold Me Jesus, echoes in my head: "I'd rather fight you for something I don't really want than take what you give that I need." People! Who needs 'em? I DO! 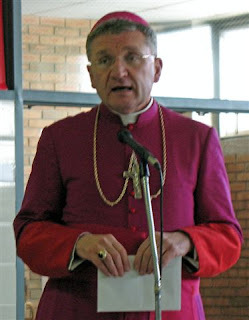 Writing of needing other people, please keep Bishop Donald Pelotte, SSS, the bishop of the Diocese of Gallup, New Mexico in your prayers. He is in hospital in Phoenix after being found at his home battered and bruised after a terrible spill down his big staircase. Also pray for his brother, Fr. Dana Pelotte, formerly pastor of St. Martin de Porres Parish here in Salt Lake City and one of those wise and kind people who I count as a friend, as well as the whole Blessed Sacrament family, who have become my brothers over many years, as they wait, pray, and wonder what happened. What a strange few days! Late summer is for me always a bit surreal. 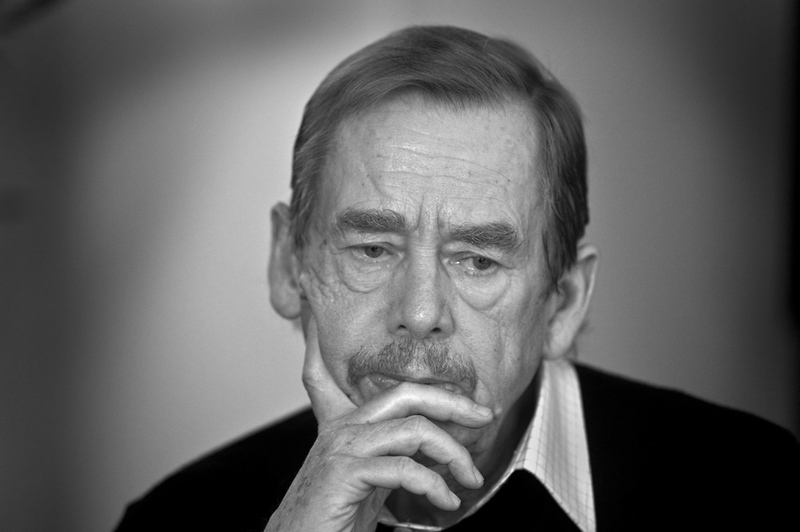 Death is the theme this year- Bill Walsh, Ingmar Bergman, Tom Snyder, and, I just learned now as I turned on my computer this morning, Italian film director, Michelangelo Antonioni. We are poorer without all these men who made great contributions in their various fields, not a trivial man among them. 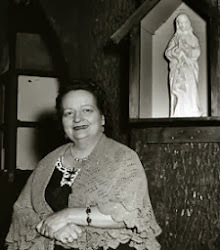 I moved my post on the personhood of God over to The People of St. Mary Magdalene, our parish blog. 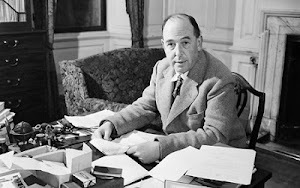 While I am dealing in notifications, this article was brought to my attention by Saturday's guest-blogger, Deep Furrows, a wonderful post, very relevant to me at present, a post entitled Why I love Schillebeeckx. Enjoy! Continuing where I started on Sunday, the theme of paradox, of becoming who I am, of my restlessness, etc., I take up this morning some words from Chesterton, found in the fourth chapter of Orthodoxy, entitled The Flag of the World, that give some much needed clarity and common sense to this idea of becoming who I already am, a concept that can rapidly become esoteric and absurd. I have tried to show that becoming who I am is not an inward turn toward myself, but an outward turn toward the other. Only in this way do I overcome ego-centeredness, which the closest state-of-mind and being to hell in my own experience. 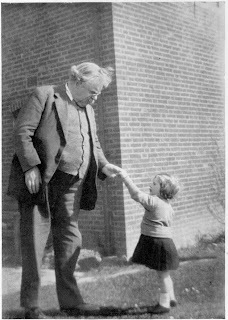 "Christianity came into the world," Chesterton wrote, "firstly in order to assert with violence that a man had not only to look inwards, but to look outwards, to behold with astonishment and enthusiasm a divine company and a divine captain." Therefore, he continues, "The only fun of being a Christian was that a man was not left alone with the Inner Light, but definitely recognized an outer light, fair as the sun, clear as the moon, terrible as an army with banners." Furthermore, Christianity cannot be reduced to mere morals and retain any of its meaning. Christian latitudinarians "represent that the remarkable thing about Christianity was that it was the first to preach simplicity or self-restraint, or inwardness and sincerity." Such opinions, Chesterton points out, are born of a deep ignorance. Rather, 'the remarkable thing about Christianity was that it was the first to preach Christianity. Its peculiarity was that it was peculiar, and simplicity and sincerity are not peculiar, but obvious ideals for all mankind." This leads back to Christianity as brimming with paradox: "Christianity was the answer to a riddle, not the last truism uttered after a long talk." I don't want to flog (or blog) a dead horse, but I re-read a bit this morning from Br. Patrick Hart's and Jonathan Montaldo's introduction to The Intimate Merton: His Life from His Journals. 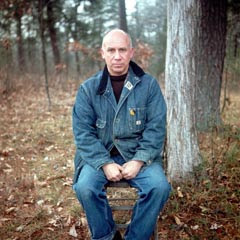 This introduction bears the title A Path Through Thomas Merton's Journals. Of course it is too hagiographic and laudatory, especially for a man who said about the Merton Room in the library of Bellarmine College in Louisville, Kentucky that it was "a good place to cut a fart and run". However, the tone of their introduction is tempered by their paying attention to what Pater Tom wrote about himself, which was genuinely self-effacing and often ironic. "His journals bear witness to his education as a human being. He gradually abandoned hope for a suddenly perfect life in some perfect place always elsewhere than where he actually was. He surrendered himself instead to the slow heart work of seeking God one day and one night at a time in the place where his eyes opened and shut every morning and evening. He got up and fell down, he got up and fell down, he got up over and over again." There have not been an abundance of personal posts on my blog lately. Therefore, there has been almost no spirituality. I'll be honest about this lack. I have been and remain too busy and too engrossed in stuff. I am too busy to spend 15 minutes, let alone an hour, in prayer, in lectio, in silent contemplation, or to take a walk. Of course this is a ridiculous state-of-affairs that I regret and resolve daily to change. It does not mean that things are going badly, that my daily life has fallen apart. Were that the case, my present situation would be easier to resolve! More troubling is that, despite my daily resolution to pray more, to sit and be silent more, to take more walks, etc., I find myself actively avoiding spiritual nutrition and settling for a bag of chips. Then again, when going through times like this, I have learned to wait on the Lord. I have learned through much trial, impatience, and even whining that it is only Jesus, my Lord, my Master, my Teacher, my Savior, who stoops to be my friend who can change my heart. Yet, I also know He is not absent from my spiritual idleness that amounts to frentic busy-ness. Paradox is an inescapable dimension of the Christian life. While that sounds cool, the reality of it is as frustrating as can possibly be. Paradox creates tension. Tension is something I seek to avoid and, yet, it is something I need, like exercise and fiber. The late liturgical scholar Mark Searle wrote something about the liturgy that captures well what I am trying to express about my inner life: "Tension creates energy" (Liturgy Made Simple, pg. 25). Far from being negative, our worship and spiritual lives require "a tension between the present and the future, between the personal and the communal, between the ideal of the Kingdom and the realities of present experience in the world" (pg 25). All these musings put me in mind of my two best spiritual guides down through the years (it even seems odd that I can write about my spiritual life way- I am getting older): St. Augustine and Pater Tom (a.k.a. Thomas Merton and Fr. M. Louis, OCSO). From Augustine I learned that having a longing, restless heart is part of being human, part even of being a person of faith. This world will never satisfy me, only God satisfies me- "You satisfy the hungry heart with gifts of finest wheat". From Pater Tom I have learned that God does not want or call me to be someone other than myself, as disappointing as I find this at times. God calls me to be the true self I was made to be for God, the Father who delights in me. So, in a very real and practical sense, I am to become nobody other than me. As Michael Spencer wonderfully points out in a post on his internetmonk blog, Pater Tom was also restless. It seems that restlessness, like humor, is a sign of a genuine and balanced spirituality. On the other hand, maybe that observation is just a pathetic attempt at self-justification. This becoming sounds simple enough, but then living the Gospel only requires me to love God with all my heart, might, mind, and strength and my neighbor as myself. Yet, in order to walk the path of becoming, keeping these commandments must be done out of a genuine desire, a genuine longing, out of my love for Jesus, who first loved me (Jn 14,15; 1 Jn 4,10). This brings me to two other spiritual guides for my life: Luigi Giussani and Joseph Ratzinger. 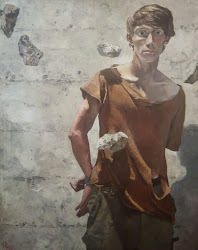 Gius teaches me that it is only through my own, very personal, acceptance of these Gospel requirements, which is the result of "an event born of an encounter", and not by having them externally imposed on me, that I begin to walk the path of becoming myself. Joseph Ratzinger teaches me that, paradoxically, this path ultimately leads me beyond myself, toward the other in love. It is in becoming other-centered that I become my true self. It is by being myself that I become a gift to others and allow them to be gifts to me, not threats that cause me to put up my ego defenses. 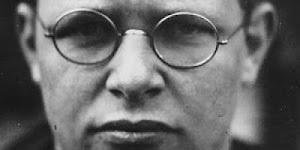 Frequent readers know that I never tire of the brilliant luminosity of our Holy Father's words in number one of Deus Caritas Est, in which it is easy to see the impact of Gius on his life and thought, "We have come to believe in God's love: in these words the Christian can express the fundamental decision of his life. Being Christian is not the result of an ethical choice or a lofty idea, but the encounter with an event, a person, which gives life a new horizon and a decisive direction." 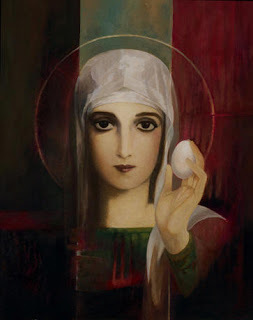 I tried to point out in my recent post on St. Mary Magdalene, using Dr. Cynthia Crysdale's book Embracing Travail, that our resurrected and living Lord confronts us, calls us, summons us, even jerks us toward becoming our true selves. To be painted into this particular corner by the resurrected Lord Jesus is scary, especially when I think about how much I shrink from really examining myself. I am not talking about the vague awareness that only leads me to feel mildly ashamed, but the kind of examination that forces me to my knees in need, in gratitude, in awe because I realize in such moments just how much God loves me despite everything. Such experiences create tension- tension between becoming who I am made to be and the all-too-often false person I am. Friendship plays a vital role in my becoming, as Fred, author of Deep Furrows, wrote about yesterday. Part of how I know I am too busy at present is that many of my friendships have withered. No doubt it is by relating to others that I become who I am and who I am meant to be. Cultivating a genuine openness to other people is part of being truly alive, and is what constitutes loving my neighbor. The fear of this becoming, which takes many forms, of bridging this chasm, which seems at times to span the universe, is overwhelming. Frankly, sometimes in my arrogance it pisses me off when I realize that I can't bridge it on my own, that I need help. In this I commit the original sin of wanting to be my own god. Besides, you don't need a doctorate in theology to know that ego-centeredness is hell. As The Police once sang: "In this desert that I call my soul/I always play the starring role/So lonely . . ."
Alas, it is only in my weakness that I am strong. The Lord said to Paul, as he lamented his own weakness, "My grace is sufficient for you, for power is made perfect in weakness." To which Paul responded: "I will rather boast most gladly of my weaknesses, in order that the power of Christ may dwell with me" (2 Cor 12,9). This is the most difficult paradox of all! I want to thank Deacon Scott for allowing me to present this fruit of God's work in my life. I hope that it will help others live the Mass more deeply. Every Mass in a re-membering of the Paschal Mystery - the Crucifixion, death, and Resurrection of Jesus Christ. In daily Mass last week, however, I became aware of the Eucharistic Prayer as a remembering of the Incarnation. I'll just offer a few highlights. Blessed is He who comes in the name of the Lord. Blessed is Jesus who comes in His Father's name. And he is coming to us now. Let your Spirit come upon these gifts to make them holy, so that they may become for us the body and blood of our Lord, Jesus Christ. At this point, the Church asks the Holy Spirit to come upon creation again as He did at the Annunciation of the Lord Jesus to Mary. "This is my body which will be given up for you. . . . This is the cup of my blood. . . ."
These words are the sign that the bread and wine will be substantially changed into the Body and Blood of Jesus Christ - the Word becomes flesh and dwells among us. To see the Consecration is to witness the Incarnation in person. Lord, by your cross and resurrection you have set us free. You are the Savior of the world. Here is the first point in the Mass in which we address Jesus directly. In this way, we recognize his substantial, sacramental presence among us. I also am becoming aware that the Doxology is not merely a closing prayer (yada, yada, yada), but is itself a sacrifice of praise to the Father, Son, and Holy Spirit - offered through Jesus who is substantially with us. And when we receive Communion, the Incarnation is extended again, intensified. 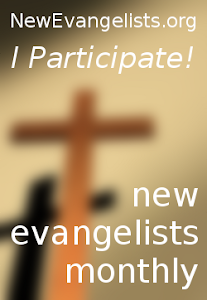 We are re-incorporated into the Body of Christ and commissioned to announce the presence of God to a thirsty world. Although I've focused narrowly on the theme of Incarnation and the Eucharistic Prayer, this is but an invitation to the depths of the Mass - depths that are available every week and even every day for those who have ears to hear the invitation. This marks the first guest-post ever on here on Catholic Deacon. I certainly hope it is not the last. To continue a much venerated (at least by your humble scribe) Catholic Deacon tradition, bridging the gap between the Church and the world. Ironic Catholicism- Is there any other kind? I located this great post from what appears to be a wonderful blog from the blog of my friend Alex, who you can read at Vitus Speaks. The blog is The Ironic Catholic, the post is The Top 100 Ironic Reasons To Be Catholic: The Final Ten!. Enjoy! This morning the Holy See released Pope Benedict XVI's message for the XXIII World Youth Day, to be held next summer in Sydney, Australia. It is an inspiring document. I use inspiring not merely in a rhetorical sense, but in a more literal sense because the Holy Father's theme for World Youth Day 2008, from Acts 1,8, is: "You will receive power when the Holy Spirit has come upon you; and you will be my witnesses". I have posted a more extensive look at the Holy Father's message on our parish blog: Message for XXIII World Youth Day. I think it will be worthwhile to unpack some, if not all, of the various sections in the coming days. So, stay tuned. 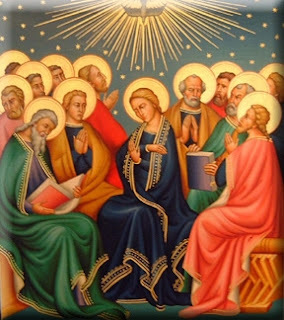 Meanwhile, pray for a "new Pentecost"- "Come Holy Spirit and renew the face of the earth!" "May Mary, united in prayer with the Apostles in the Upper Room," Pope Benedict concludes this message, "accompany you throughout these months and obtain for all young Christians a new outpouring of the Holy Spirit to set their hearts on fire. Remember: the Church has confidence in you! We Pastors, especially, pray that you may love and lead others to love Jesus more and more and that you may follow Him faithfully. With these sentiments I bless you all with deep affection." 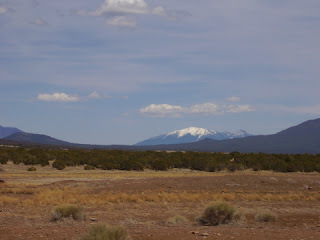 It is bears noting, since I missed the date last week, that a year ago on, 19 July 2006, with my post How Occasional?, I really began blogging in earnest. To be honest, I cannot recall now what the impetus was that caused me to take that fateful step. Since then I have answered my own question with, daily, much to the dismay of many I am sure. Anyway, to both my readers, thanks! I found myself thinking today (always a bad sign), which in Utah, we observe as Pioneer Day, the day in 1847 when the first wagon train of Latter-day Saints arrived at the mouth of Emigration Canyon and Brigham Young declared, "This is the right place," how happy I am that the Solemnity of St. Mary Magdalene falls a few days before Pioneer Day. Utah is a beautiful and wonderful state, full of diversity of all kinds, geographic, religious, ethnic, etc. I am very rooted here, this is my home. The older I get the more difficult I find it to even imagine living elsewhere. Land of the sunny sky, Utah, we love thee! In robes of statehood dressed, Utah, we love thee! 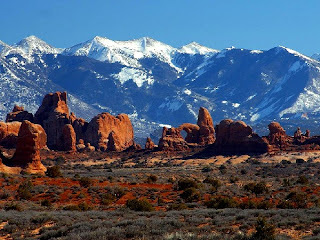 Thy lustre shines afar, Utah, we love thee! She proudly comes to view, Utah, we love thee! Grow with the coming years, Utah, we love thee! Godguarded evermore, Utah, we love thee! "Monday, Monday . . . da, da, . . . da,da,da,da," as the Mamas and the Papas once sang. Indeed, another Monday dawns. Nonetheless, "this is the day that the Lord has made," the Psalmist wrote, "let us rejoice and be glad!" Rejoicing always is important, especially when we don't feel like it (Phil 4,4). It is safe to say if there is a time each week we probably feel least inclined to "rejoice and be glad" it is Monday morning. Try it, you might be surprised. 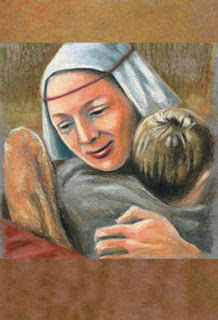 As we learn about today's Saint of the Day, a feature of the website of the St. Anthony Messenger Press, a Franciscan undertaking, St. Bridget of Sweden, whose memorial is today and who, along with Saints Catherine of Siena and Teresa Benedicta of the Cross (i.e., Edith Stein), was named co-patroness of Europe by Pope John Paul II in a 1999 motu proprio entitled Spes Aedificandi, "Despite the hardships of life and wayward children (not all became saints), Margery Kempe of Lynn says Bridget was 'kind and meek to every creature' and 'she had a laughing face.'" Today the memorial of St. Mary Magdalene is observed as a solemnity at the parish to which I belong and have the privilege of serving, The Cathedral of the Madeleine. Mary Magdalene is known in the Tradition as apostola apostolorum, apostle to the apostles, because, as the first witness of the resurrection, a fact attested to by all four evangelists, she was sent by our resurrected Lord to tell the others disciples that He is risen! This morning, as our lectio, let us consider the first eight verses of the sixteenth chapter of St. Mark's Gospel. 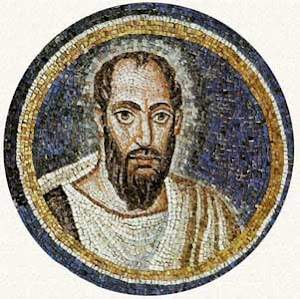 Mark was the first of the canonical Gospels to be written, probably in Rome, shortly after 70 AD. These eight verses from Mark 16 constitute the original ending of this Gospel. It is easy to see how this ending might be found unsatisfactory and how it prompted a later, different, more humanly satisfying ending to this Gospel (i.e., verses 9-20), which is the most succinct account of the life, death, and resurrection of "Jesus Christ (the Son of God)" (Mk 1,1). This is mostly taken from my lecture last Thursday. "When the sabbath was over, Mary Magdalene, Mary, the mother of James, and Salome bought spices so that they might go and anoint him. Very early when the sun had risen, on the first day of the week, they came to the tomb. They were saying to one another, 'Who will roll back the stone for us from the entrance to the tomb?' When they looked up, they saw that the stone had been rolled back; it was very large. On entering the tomb they saw a young man sitting on the right side, clothed in a white robe, and they were utterly amazed. He said to them, 'Do not be amazed! You seek Jesus of Nazareth, the crucified. He has been raised; he is not here. Behold the place where they laid him. But go and tell his disciples and Peter, "He is going before you to Galilee; there you will see him, as he told you." Then they went out and fled from the tomb, seized with trembling and bewilderment. They said nothing to anyone, for they were afraid." As a reflection let's consider a brief passage from pages 12-13 of the book Embracing Travail: Retrieving the Cross Today, by Dr. Cynthia Crysdale, a professor at the Catholic University of America. 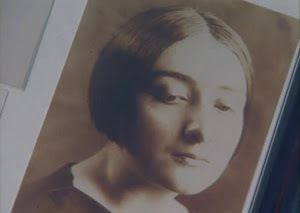 In these pages she takes up Mark's account when the women arrive "at the tomb on the first of the week ready to anoint the body, only to discover that it is gone." Crysdale asks, "Where is the salvation here? What is the theme of death and resurrection for these women?" Because, unlike the twelve, including Judas Iscariot, they did not betray or abandon Jesus during his passion and death, the meaning for these women "is not that of betrayal and subsequent forgiveness." In this encounter with the empty tomb it is not possible for them to discover "themselves as culpable murderers." Rather, just as they did as Jesus hung on the cross, at the empty tomb "they are 'looking on from a distance.'" Their response is a typically human one, they try to go back to doing to what they have always done, which, according to Dr. Crysdale, is to "take concrete care-taking action." But their encounter, their discovery of this world-changing, cosmic, event allows them no such comfort. 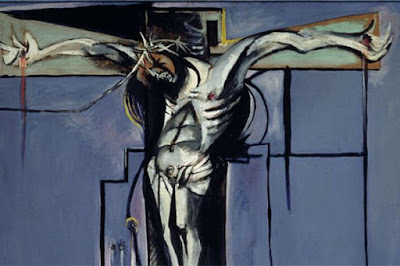 Christ's resurrection, which for us is experienced both as a forgiveness of sins and as a liberation from powerlessness, also confronts us with the possibility of becoming our true Selves, of becoming the persons who God, out of the greatest love and the deepest goodness, made us and invites us to become in Christ. Therefore, today let's consider what it is that holds us back from becoming who the resurrected Lord beckons us to become- which is who we really are. St. Mary Magdalene, apostola apostolorum - pray for us! I am not one to jump on many bandwagons. I am usually driving what I want to be a bandwagon with only myself on-board. Nonetheless, I must admit that over the years I have grown fond the Harry Potter books. We have somehow wound up wit two copies of The Deathly Hallows and four people wanting to read it. My oldest son pulled an all-nighter and read it (Thank you J.K. for having the book published during the summer!). My oldest daughter has plowed through several hundred pages today, after the Potter-fest at the Salt Lake City library last night, which everybody but your humble scribe attended. I drank some wine and read some Schillebeeckx and Cummings. Meanwhile, my lovely wife and I, reading The Deathly Hallows aloud together, are 22 pages in. You know? I'm going to miss these guys! My heart was broken when Snape killed Albus Dumbledore in The Half-Blood Prince, not mention the death of my favorite J.K. Rowling character, Sirius Black at the hands of his cousin Bellatrix LaStrange, in The Order of the Phoenix. Bellatrix is played in the film by the always intriguing Helena Bonham Carter (left). Sirius is my favorite because I most identify with him. I would most like to be like Dumbledore, but, alas, he is not me. Anyway . . . a brief tribute this great series from which much of value can unpacked! In thinking once again about the likely direction of the liturgy during the current pontificate, I turn my attention to what may very well be the next change, which is having the priest, at least during the eucharistic prayer, face away from the people. I am being a bit combative to put it that way (i.e., "face away from the people"). I do so in response to the commentators who write emphatically that the proper name for this orientation is (in Latin- what else? ), ad orientem, which literally means to the East, and not away from the people. So, I will compromise and use the Latin adversus populum for facing away from the people. The adversus populum proposal is made even more strange by the fact that, in most instances, churches do not face to the East. In the Cathedral of the Madeleine, for instance, such an orientation during the eucharistic prayer would have the priest adversus populum to the North. At another church building with which I am familiar, St. Charles Borromeo, in Albuquerque, the priest would face South. I have read recently where many of these same commentators have taken to calling adversus populum, "facing the Lord." But if, as we are told in number seven of Sacrosanctum Concilium, that Christ is present in the assembly as much as in the eucharistic species, the priest, and the word, how can adversus populum mean facing the Lord? So, I will call Ad Orientem adversus populum, unless to face East in a particular Church building means facing the people, in which case it would be facing the Lord as mystically constituted by any gathering of the baptized. In these rare instances I will be happy to use ad orientem, or even facing the Lord. Remember, Christ died for all, but being the Roman Rite literalists we must be, we can only say for many (i.e., pro multis) during the eucharistic prayer beginning next year. What does this change say about Prosper of Acquataine's lex orandi, lex credendi, let alone consider what effect this might have on our praxis? So it is with my tongue firmly planted in my cheek that I offer the hope that this change might help us make ecumenical progress with reformed, or Calvinist, ecclesial communities, which is to open an entirely different can of worms. For all you Church geeks, like myself, it is time for another wholly unnecessary hierarchy update. The backlog is still there and getting longer, especially with the Holy Father's penchant for moving bishops from smaller dioceses to larger dioceses. There have been four appointments since the last update. 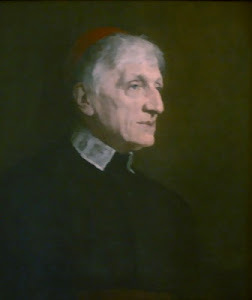 The first appointment, made on 12 June, moved Bishop Joseph Kurtz from Knoxville, Tennessee to Louisville, Kentucky, thus also making him an archbishop. The second appointment, made on 28 June, was of Peter Christensen, a priest of the Archdiocese of St. Paul-Minneapolis, as bishop of the Diocese of Superior, WI. The past few weeks have seen Archbishop Edwin O'Brien being taken from the Military Archdiocese and transferred to Baltimore to replace the now retired Cardinal Keeler and, in a move made earlier this week, Bishop David Allen Zubik, formerly the bishop of the Diocese of Green Bay, Wisconsin, is going back to his native Diocese of Pittsburgh, replacing Archbishop Donald Wuerl, who was installed last year in Washington, D.C. Including the Dioceses of Knoxville and Green Bay, along with the Military Archdiocese, the number of vacant dioceses has jumped from seven to ten since the last update. The remaining seven are the vacant dioceses: Des Moines, IA; St. Thomas, U.S. Virgin Islands; Shreveport, LA; Great Falls/Billings, MT; Little Rock, AR; New Ulm, MN; Birmingham, AL. With the retirements of Cardinal Keeler, Archbishop Kelly of Louisville, and Bishop Raphael Fliss of Surperior, WI, the number of ordinaries serving beyond the mandatory retirement age of 75 remained the same at ten. It must be noted that while it is mandatory for a bishop to submit his resignation at age 75, it is not mandatory for the Holy Father to accept it. Those now serving beyond 75 are two cardinal archbishops: Cardinals Maida and Egan of Detroit and New York respectively. The others are Bishops Balke of Crookston, MN; Leibrecht of Springfield/Cape Girardeau, MO; Mengeling of Lansing, MI; Yanta of Amarillo, TX, Murray of Kalamazoo, MI, Moynihan of Syracuse, NY, as well as Archbishops Lipscombe of Mobile, AL and Curtiss of Omaha, NE. There are five bishops and archbishops who will turn 75 within a year. These ordinaries are: Bishops Cullen of Allentown, PA; D'Arcy of Ft. Wayne/South Bend, IN; Saltarelli of Wilimington, DE; Tafoya of Pueblo, CO. Additionally, Archbishop Hughes of New Orleans will turn 75 within the year. Archbishop Flynn of St. Paul-Minneapolis will also turn 75, but with the installation of John Nienstedt as his co-adjutor, there will be no vacancy in that archdiocese, but that accounts for the vacancy in the Diocese of New Ulm. So, that makes 25 dioceses, roughly 14% of all Roman Rite dioceses in the country that are vacant, overseen by a bishop 75 or older, or will have a bishop past retirement age within the year. The Diocese of Birmingham, AL, with EWTN operating within its boundaries, remains the longest vacancy in the history of the Catholic Church in the U.S. at 26 months. The retired bishop, His Excellency David Foley, remains as the administrator. It makes one wonder why his resignation was accepted more than two years ago! One of the concerns expressed by the Holy Father both at the consistory he called in anticipation of the Synod of Bishops dedicated to the Eucharist and at the synod itself was the increasing number of retired bishops who are still in good health and able to serve. Cardinals do not become superannuated members of the Sacred College until they reach the age of 80. Putting these two issues together, it seems logical to assume that Pope Benedict XVI is not overly eager to accept resignations as soon as they are proffered by bishops turning 75, especially if they are cardinal archbishops of major metropolitan sees. If a bishop is capable and willing to continue his service beyond 75, it seems the Holy Father is disposed to allow such a prelate to continue. As to the Sacred College of Cardinals, membership now stands at 183, with the passing of Angelo Cardinal Felici on 17 June 2007. However, there are now 78 members over age 80 who are superannuated and, therefore, unable to vote in any future conclave. This is an increase of two since the last update, with Cardinals Macharski, Pope John Paul II's hand-picked successor in Krakow, and Vithayathil reaching age eighty in recent months. This leaves five members of the Sacred College who are already 79 years old. Voting members of the college are limited to 120 (which the Pope can exceed anytime and for any reason, which Benedict is unlikely to do). Right now, the number of voting members, including the five who are 79, stands at 105. Hence, it is likely that there will be a consistory sometime in the near future, perhaps later this year, during which new cardinals, among whom will likely be Archbishops Wuerl and O'Brien, will be created. Another U.S. citizen, Archbishop John Foley, since leaving the Pontifical Council for Social Communications and becoming the Grand Master of the Equestrian Order of Holy Sepulcher of Jerusalem, also stands to receive his long overdue red hat from the Pope. So, the Holy Father can create 15 new cardinals this year without exceeding 120. However, just as Pope Benedict is unlikely to exceed 120 voting cardinals, he is just as unlikely to create cardinals just to get the number of voting members up to 120. So, there is your Church hierarchy update for a Saturday in July. rejesus: A virtual space to explore! Today I stumbled onto one of the most intriguing websites I have found in a long time. I linked to it from the the website of The Church in Wales. The website in question is rejesus. I most heartily recommend spending some time browsing it. Of particular note is a part of the site called expressions. A part of this section well-worth visiting is a page by Jude Simpson, who is described as a "comic poet, entertainer and all-round lover of words." She puts her talent to use by composing "five 'funny' poems about Jesus". they asked him, if you could fish for anything, what would it be? a carp? a sturgeon? a salmon? a bream? save them from their sins. How you gonna do that, Jesus, that’s a pretty big wish? Jesus said, there’s only one thing for it, I’ll have to go and die." I urge you to read/listen to all five of her "funny" poems. even though it’s fast, fun and easy. and invited you to be his friend. and he still hasn’t had a reply." Another feature worth looking at is the pub quiz. A very rough sketch of my lecture last evening for our celebration of the Feast of St. Mary Magdalene, entitled St. Mary Magdalene: First Witness of the Resurrection is up on our parish blog, The People of St. Mary Magdalene. “The covenant that God makes with the people is a central theme of the Bible,” writes Gustavo Gutiérrez at the beginning of the third chapter of his book, The God of Life (pg 33). But the indefinite article could easily be changed to the definite article to state that the covenant that God seeks to enter into with all people is the central theme of the Bible. In fact, this is precisely what the father of liberation theology sets out to show in the third chapter of The God of Life. The covenant is the initiative of the One God who is love, which makes God the God of life because love is life-giving. It is through this covenant, which takes the form “I will be your God, and you shall be my people” (Jer. 7.23), that God seeks to give us life. As Christians we often think that it was not until the Incarnation of Jesus Christ that God is revealed as the God of love. While Jesus Christ is the definitive and explicit sign and symbol of divine love, which constitutes reality, Gutiérrez demonstrates how, beginning in the Hebrew Scriptures, God is unveiled. 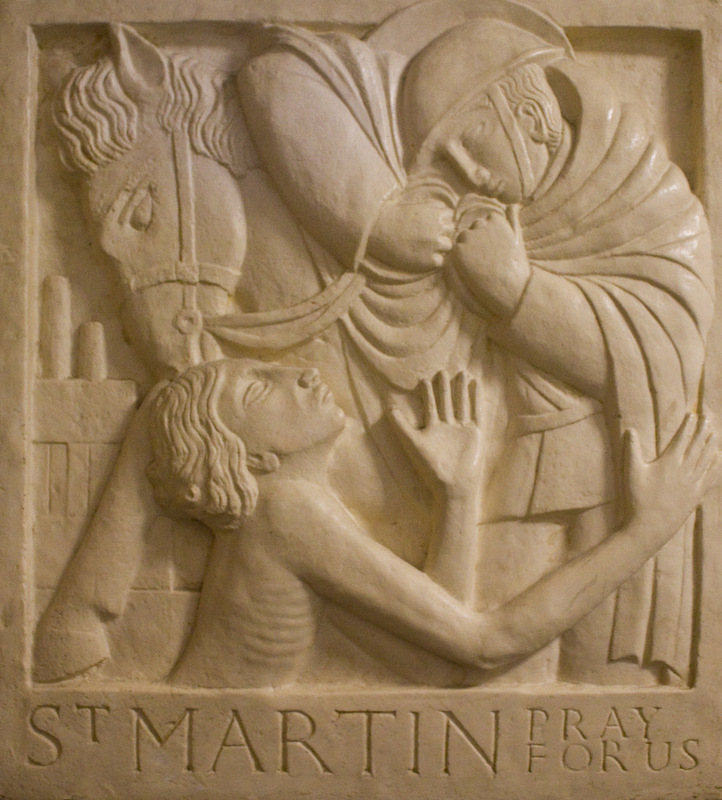 This revelation is perhaps best expressed in the form of a syllogism: if to give life is to love, to form community, to relate to others, then the God of life must love and must somehow be relational. It is here that the very essence of the divine life into which God seeks to draw each one of us and all of us together is love. Nothing in our experience is more life-giving than conjugal relations between a man and a woman. This act is used time again as more than a metaphor to describe the covenant initiated by God. The author of the New Testament letter to the Ephesians, undoubtedly borrowing this image from the Hebrew Scriptures, also used this image to describe the Church, the people of the new covenant (Eph. 5.22-33). This primal image is used by the prophets time and again because, not only does love pick up where knowledge leaves off, love is the intellect’s point-of-departure. The urge to give life precedes life and life, in turn, precedes any self-conscious reflection. Knowing God is not, in the first instance, an intellectual exercise, something learned by study, or earned by hard work, it is an apprehension at once more basic and more existential. This reality is well-expressed in the description of theology as faith seeking understanding. Therefore, true religion, which is the outward form and visible symbol of the relationship into which God seeks to draw us, is not reserved only for those who have the leisure and the means to study, but for all, and in a privileged way, the poor and the oppressed. Neither do we apprehend or perceive God on our own. Despite “the abiding temptation to understand faith as something purely individual,” we can apprehend God only in relation to others in the context of community. Hence, it is never a “question of a thou and an I, but of a thou and a we” (pg 34). While a bit anachronistic, using to the conjugal image to describe God’s covenant-making puts us in mind of a sacrament, if by sacrament we mean a visible and tangible sign of God’s presence, not just in, but for the world. After all, what is more expressive of giving life than the act by which two people affect and effect a new person? By using the conjugal image to describe how God seeks to relate to humanity we see that sacraments do not come from above but originate from below, from God’s good creation, from the creatures who God loves and who God seeks to make children. As children we are to love our parent, God, who is father and mother, as well as each other. The insight that God is love, expressed by the covenant that has as its image the conjugal union, aids us because our faith, being our free response to God’s initiative, arises from our longing for completeness, for connectedness, and for community. Our free response is nothing other than receiving what God freely offers us, which is life. This is precisely why faith can never be individual. Faith is relational and it gives rise to community. The use of the conjugal image to describe the relationship that God longs to enter into with all humanity, even in the Hebrew Scriptures, which features as another of its great themes, along with God’s covenant-making, that profession of faith, “The Lord is our God, the Lord alone” (Deut. 6.4), leads us to conclude that God, in order to be love, must also be relational. Because God is love, we are free to accept or reject the life into which God wants us draw us. Once we respond to God the covenant, like a marriage, is based on fidelity to the One God, who alone is Lord. Nonetheless, it is only because this God who reaches out to us in covenant is faithful, even when we, the people to whom it is offered, are not, that it is not broken. Hence, the continuation of the covenant rests on God’s fidelity, not to the covenant, which is abstract, but to the people God loves “with an everlasting love” (Jer. 31.3). The point that needs to be stressed, insists Gutiérrez, is that this profession of faith “in Yahweh makes it possible for Israel not only to know its religious status but also to assert itself as a people” (pg 34). To dig a bit deeper on this point, it is precisely the covenant, initiated by God, and not heredity, or purity of blood that gives this people their identity. After all it was a “mixed crowd” that was liberated from Egypt (Exod. 12.38). So, the covenant “is made with a people, with a human group,” a mixed group, “not an individual person” (pg 34). That God enters into covenant with a people and not an individual, or even many individuals separately, is a point of biblical revelation that requires some explanation because God did enter into a covenant with an individual person: Abraham, our father in faith. “I will make my covenant between me and you, and will make you exceedingly numerous," God says to Abram just prior to changing his name to Abraham. The name change is made because the man from Ur has already been made by the God of life “the ancestor of a multitude of nations” (Gen. 17.2-5). The upshot is that God’s liberating and redemptive action, because it takes place in history, had to start not somewhere, but with someone. This someone of necessity had to be two people. 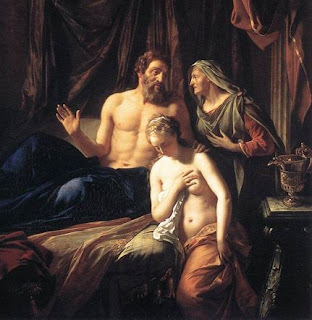 Therefore, it is Abraham and his wife Sarai, who became Sarah because she is also our ancestor, not just by the fruit of her womb, which bore only Isaac, so our pre-historic, but revelatory, story goes, who are the progenitors of a multitude of nations (Gen. 17.2-5,16). So, from the beginning, “faith is something that lives within a community, the individual’s life of faith is put right, regulated, and judged by the entire people called to covenant with the Lord” (pg 34). 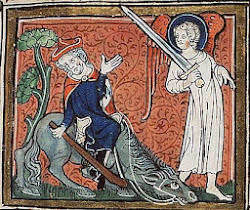 Because we are called into covenant as a people, as God’s people, and because God, while “tenderly loving” and always faithful, is also a demanding and even jealous covenant partner, the question, in what does this life-giving faith, this response to God, which response necessarily takes place in a community, consist, forces itself upon us. “One expression of the jealousy of this God,” writes Gutiérrez, “is the necessary connection between worship and the practice of justice, between sacrifice and fellowship among human beings, between religious offering and the work of liberation” (pg 45). There are “two fundamental dimensions of Christian life: contemplation and commitment” (pg 47). An integrated life consists in connecting these two dimensions. One concrete way of connecting worship and justice is forgiveness, which is gratuitous and brings about reconciliation. The gift of life is only fully realized when, once forgiven, we, in turn, practice justice. Our worship is only authentic if we practice justice, which, among its many implications, means standing ready to forgive, and to be members of a reconciling community, which is the only kind of authentically Eucharistic community. Being a truly Eucharistic community means standing in solidarity with the poor and the oppressed, who are formed as people by their “hunger for God” and “hunger for bread” (pg xii). “Solidarity with the poor and the oppressed should be a source of joy, not a strain” (pg 47). 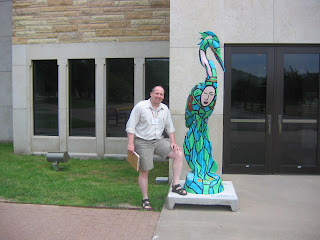 This is a pre-residency paper I wrote for a Foundations in Theology class at St. Mary's University. Since I am taking something like a Summer hiatus, I don't want to leave you all (both of you) in the lurch. Since I am, as previously noted, a big believer in accountability, I am happy to let two men whose knowledge and wisdom are far superior to my own have the last words on this blog regarding the Holy Father's motu: Bishop Wester and Msgr. M. Francis Mannion. I also want to remind readers that last Fall, around Thanksgiving, I had a very long and detailed post on Pope Benedict and the direction of the liturgy during his pontificate when it was far from certain there would even be a motu. This post from the Catholic Deacon archive is entitled Pope Benedict, Msgr. Klaus Gamber, the Universal Indult and the Reform of the reform. In addition to his comments on the motu, Bishop Wester has two wonderful podcasts on Immigration, the committee of the USCCB of which he becomes chairman later this year. These podcasts are very good to listen to, especially given the polarizing nature of the immigration debate. While I am on the subject of immigration, Gregory Glenn's post on our parish blog, The People of St. Magdalene, on this subject is worth a reading as well. "I am very touched by the fact our holy father Pope Benedict XVI is a man of great charity and compassion. It is through the context of his first encyclical, 'God is Love,' that I see him reaching out with his latest motu propio, “Summorum pontificium,” to ensure the unity of the church, especially in the celebration of its sacraments and in particular the Eucharist which is the source and summit of our unity. This permission to use the Tridentine Rite of 1962 is yet another expression of the Holy Father’s desire to allow all of the faithful to participate in the celebration of the Eucharist. I am grateful to the Holy Father for his pastoral concern and the emphasis to the unity and charity of the Body of Christ. I take note that Pope Benedict has outlined very precisely and carefully the nature of this permission and how it is to be implemented. I find his directives to be very helpful. The great grace of the Eucharist is that we come into the presence of almighty God who is truly present in substance in the eucharistic meal. Our God is so loving and so of us that he wants to be present to us in the great celebration of the Eucharist. The permission given in the motu propio allows the use of a very sacred ritual that is yet another pathway to approach that great mystery. 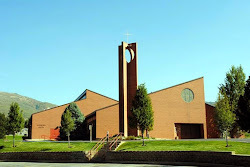 Diocese of Salt Lake City"
Thanks to The Intermountain Catholic, our really great diocesan newspaper for both the podcasts and Bishop Wester's encouraging words on Summorum Pontificium. In addition to Bishop Wester's statement, the IC also offers the reflections of Msgr. M. Francis Mannion, a friend and mentor, without whose support and encouragement I would not be engaged in ministry, and who is a noted liturgical scholar, founding president of The Society for Catholic Liturgy, and a man whose well-informed views are always worth seeking and listening to, in an article by Christopher Gray, who is quite a liturgically astute person himself, entitled Local pastor responds to Pope Benedict's motu propio. Today His Holiness, Pope Benedict XVI officially promulgated his much anticipated motu proprio allowing for the broader use of the 1962 Latin Missale Romanum, published by Pope John XXIII just prior to the Second Vatican Council. This form of the one Roman Liturgy, according to the motu, is to be used as an extraordinary form with the Mass promulgated by Pope Paul VI after the Council remaining the ordinary and normative form of the Roman Rite. This decision handed down on the Pope's own authority (which is what motu proprio means) goes into effect on the Feast of the Exaltation of the Cross, which is 14 September 2007. The motu was issued in the form of an Apostolic Letter and is entitled Summorum Pontificum. Along with the Apostolic Letter, Pope Benedict simultaneously published a letter to all Roman Rite bishops in the world in which, after giving a brief overview of the Roman liturgy from 1962 to the present, the Holy Father explains his rationale for issuing the motu. "This document," writes the Holy Father, "was most directly opposed on account of two fears, which I would like to address somewhat more closely in this letter. "In the first place, there is the fear that the document detracts from the authority of the Second Vatican Council, one of whose essential decisions - the liturgical reform - is being called into question. "This fear is unfounded. In this regard, it must first be said that the Missal published by Paul VI and then republished in two subsequent editions by John Paul II, obviously is and continues to be the normal form - the 'Forma ordinaria' - of the Eucharistic liturgy. The last version of the 'Missale Romanum' prior to the Council, which was published with the authority of Pope John XXIII in 1962 and used during the Council, will now be able to be used as a 'Forma extraordinaria' of the liturgical celebration. It is not appropriate to speak of these two versions of the Roman Missal as if they were 'two rites.' Rather, it is a matter of a twofold use of one and the same rite." He continues: "In the second place, the fear was expressed in discussions about the awaited Motu Proprio, that the possibility of a wider use of the 1962 Missal would lead to disarray or even divisions within parish communities. This fear also strikes me as quite unfounded. 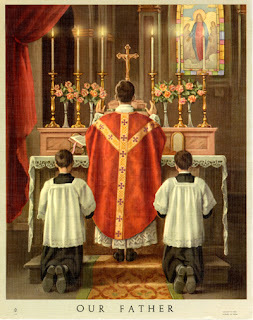 The use of the old Missal presupposes a certain degree of liturgical formation and some knowledge of the Latin language; neither of these is found very often. Already from these concrete presuppositions, it is clearly seen that the new Missal will certainly remain the ordinary form of the Roman Rite, not only on account of the juridical norms, but also because of the actual situation of the communities of the faithful." Pope Benedict then gives "the positive reason which motivated my decision to issue this Motu Proprio updating that of 1988. It is a matter of coming to an interior reconciliation in the heart of the Church. Looking back over the past, to the divisions which in the course of the centuries have rent the Body of Christ, one continually has the impression that, at critical moments when divisions were coming about, not enough was done by the Church's leaders to maintain or regain reconciliation and unity. One has the impression that omissions on the part of the Church have had their share of blame for the fact that these divisions were able to harden. This glance at the past imposes an obligation on us today: to make every effort to unable for all those who truly desire unity to remain in that unity or to attain it anew. I think of a sentence in the Second Letter to the Corinthians, where Paul writes: 'Our mouth is open to you, Corinthians; our heart is wide. You are not restricted by us, but you are restricted in your own affections. In return . widen your hearts also!' (2 Cor 6:11-13). Paul was certainly speaking in another context, but his exhortation can and must touch us too, precisely on this subject. Let us generously open our hearts and make room for everything that the faith itself allows." "The Roman Missal promulgated by Paul VI is the ordinary expression of the 'Lex orandi' (Law of prayer) of the Catholic Church of the Latin rite. Nonetheless, the Roman Missal promulgated by St. Pius V and reissued by Bl. John XXIII is to be considered as an extraordinary expression of that same 'Lex orandi,' and must be given due honour for its venerable and ancient usage. These two expressions of the Church's Lex orandi will in no any way lead to a division in the Church's 'Lex credendi' (Law of belief). They are, in fact two usages of the one Roman rite." Without getting too deeply into it, I find this article dubious. Just as I am not convinced by the arguments set forth in the letter to Roman Rite bishops that seeks to assuage their fears about this change, which takes the celebration of the 1962 liturgy out of their hands, such a drastic change in the lex orandi of the Church must necessarily affect the Church's lex credendi, not to mention our lex agendi. 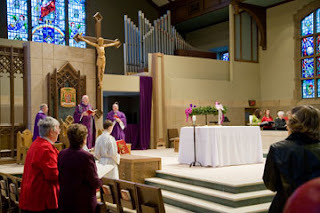 It is a giant step in the wrong direction to allow any kind of normativity for the private celebration of the Eucharistic liturgy, which permitting the 1962 Rite clearly does in Article 2, which reads in part, "In Masses celebrated without the people, each Catholic priest of the Latin rite, whether secular or regular, may use the Roman Missal published by Bl. Pope John XXIII in 1962, or the Roman Missal promulgated by Pope Paul VI in 1970." I have to admit in all fairness that when it comes to the eucharistic liturgy, I am a Sunday/Holy Day of obligation mass-goer and a Lauds/Vespers prayer the rest of the time. Hence, I am fairly Eastern Christian in this regard. "The Motu Proprio 'Summorum Pontificum' lays down new rules for the use of the Roman liturgy that preceded the reform of 1970. 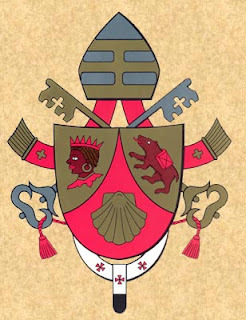 The reasons for such provisions are clearly explained in the Holy Father's letter to bishops which accompanies the Motu Proprio (the two documents have been sent to all the presidents of episcopal conferences and to all nuncios, who have arranged to distribute them to all bishops). "a) The ordinary form is the one that follows the liturgical reform undertaken by Pope Paul VI in the year 1970, as it appears in the liturgical books promulgated at that time. There is an official edition in Latin which may be used always and everywhere, and translations in divers languages published by the various episcopal conferences. "b) The extraordinary form: which is that celebrated in accordance with the liturgical books published by Blessed Pope John XXIII in 1962." "It is a 'complete' or 'integral' Missal in the Latin language, that is, it also contains the readings for the celebrations (it is not distinct from the 'Lectionary' as the later 1970 Missal is). "It contains just one Eucharistic prayer, the 'Roman Canon' (corresponding to the first Eucharist Prayer of the later Missal, which includes a choice of various Eucharistic Prayers). "Various prayers (including a large part of the Canon) are recited by the priest in a low voice inaudible to the people. "Other differences include the reading of the beginning of the Gospel of John at the end of Mass. "The 1962 Missal does not provide for concelebration. It says nothing concerning the direction of the altar or of the celebrant (whether facing the people or not). "The Pope's Letter envisages the possibility of future enrichment of the 1962 Missal (inclusion of new saints, new prefaces, etc.)." As a priestly people let us not neglect our daily sacrifice. I am back and feeling a bit overwhelmed at present. I am still processing two weeks worth of intensive instruction, trying to complete 4 short and 2 long papers, beginning my reading on diaconal formation and identity, and the list goes on- lecture on St. Mary Magadalene and the resurrection, book club, preaching. Nonetheless, I am enjoying it all, but I feel tired tonight. Rocco over at Whispers keeps up his excellent and irreplaceable reportage with the scoop on the long-awaited and mostly dreaded motu proprio, which is called Summorum Pontificum. He follows that up with the explanatory The Motu Proprio: Benedict's Decisive Compromise. In the near future I may share some reflections and writings generated by my recent and current studies. It seems strange, but I feel like I need to find my voice again. One advantage of actually doing research is re-reading things with a more critical eye. To that end, I have re-engaged Edward Schillebeeckx, OP, specifically his book on ministry, The Church With a Human Face: A New and Expanded Theology of Ministry. I have been looking at attempts or approaches to developing a theology of the diaconate that takes a realistic account of ministry in the Church past and present, and the twin realities of the presbyterate and lay ecclesial ministers. While visting Sacred Heart Cathedral in Winona, Minnesota, I discovered that the altar contains a relic of St. Gianna Molla.